Reference: Craig Silverman. 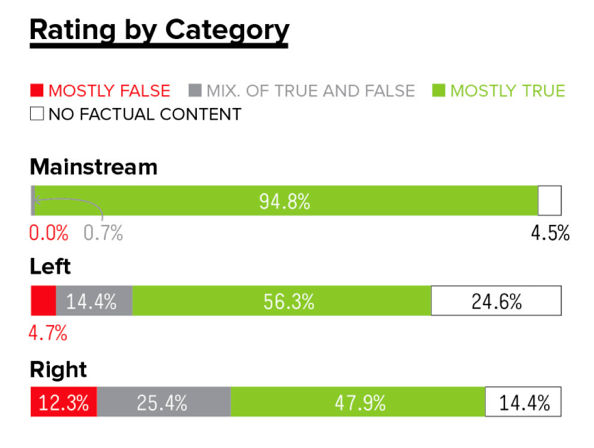 ‘This Analysis Shows How Viral Fake Election News Stories Outperformed Real News on Facebook.' BuzzFeed 17 November 2016. In the last months of the 2016 US presidential election campaign, fake content on Facebook skyrocketed. 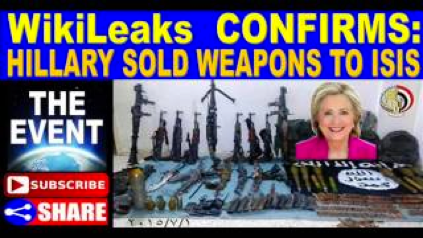 17 of the top 20 fake stories were either pro-Trump or anti-Clinton. 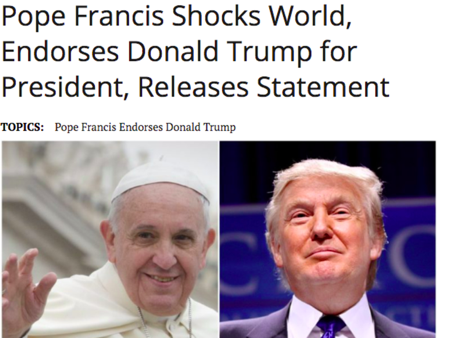 “Two of the biggest false hits were a story claiming Clinton sold weapons to ISIS [see example] and a hoax claiming the pope endorsed Trump”. Reference: Farhad Manjoo. ‘Can Facebook Fix Its Own Worst Bug?’ The New York Times Magazine. 25 April 2017. Reference: Craig Silverman. ‘Hyperpartisan Facebook Pages Are Publishing False and Misleading Information at an Alarming Rate.' BuzzFeed 21 October 2016. These false or misleading stories that “play to partisan biases” generate the most shares and reactions, far more than mainstream political pages, because they tell people what they want to hear and urge their followers to respond by clicking on the links, sharing the stories and expressing their outrage. They encourage division and polarisation, as well as generating “massive Facebook engagement”. 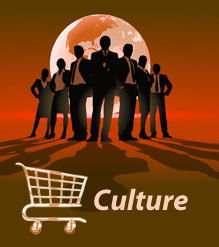 The more that people share and engage with these stories, the more that Facebook will include them in its Newsfeeds and similar ones in those people’s newsfeeds, and the more that people click on the links, the more the corresponding websites, as well as similar websites, will show up in their Google searches. 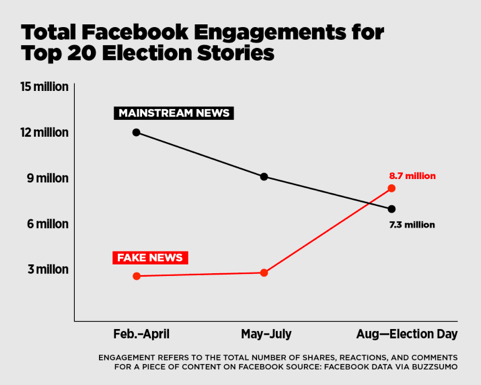 An analysis by BuzzFeed found that in the final three months of the 2016 US presidential campaign, "the top-performing fake election news stories on Facebook generated more engagement than the top stories from major news outlets such as the New York Times, Washington Post, Huffington Post, NBC News, and others". 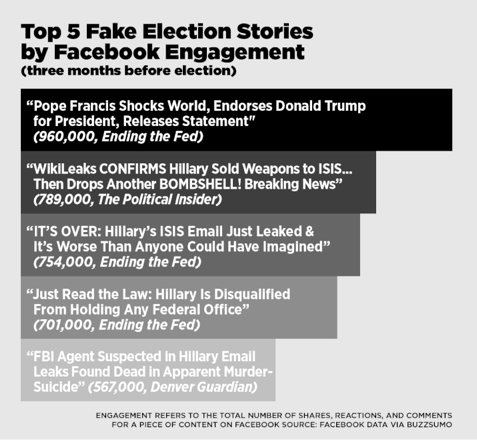 During this time the "20 top performing false election stories from hoax sites and hyperpartisan blogs generated 8,711,000 shares, reactions, and comments on Facebook" (see graph). Source: Craig Silverman. ‘This Analysis Shows How Viral Fake Election News Stories Outperformed Real News on Facebook.' BuzzFeed 17 November 2016.